RETURN OF THE APEMAN – Why would he come back? Where did he go in the first place? We know that Lugosi was by this stage in his career accepting any parts just to feed his drug habit. 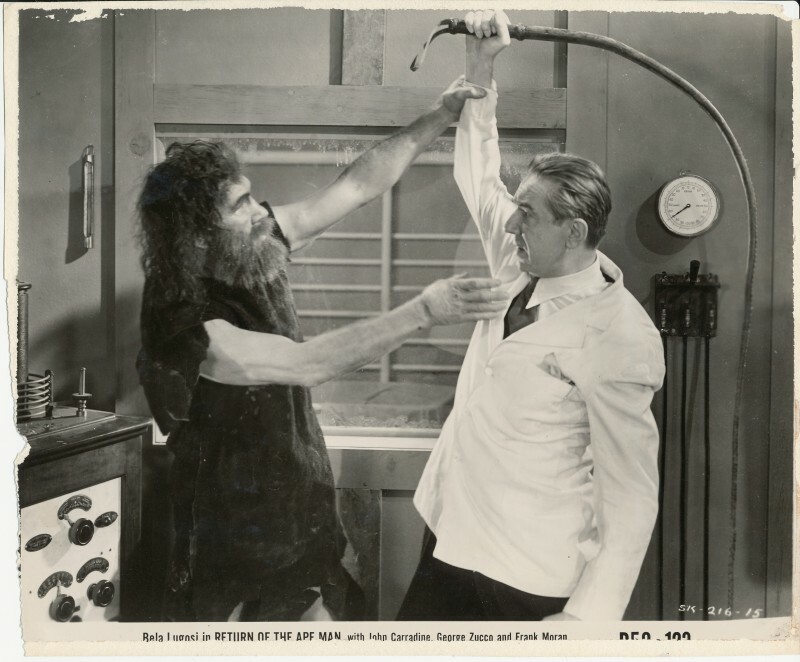 Lugosi played the Dr. then you had John Carradine and George Zucco as the Ape man. Apparently these two scientist find the ape man’s body frozen in the arctic, decide to bring he home, thaw him out and then replace his brain with a better one.That’s what happens — drama ensues.With thanks to Mary Shelley. INVASION OF THE STAR CREATURES was released in 1963 directed by Bruno VeSota (best known for classics like FEMALE JUNGLE (1955) and THE BRAIN EATERS (1958) now THAT”S a film!) 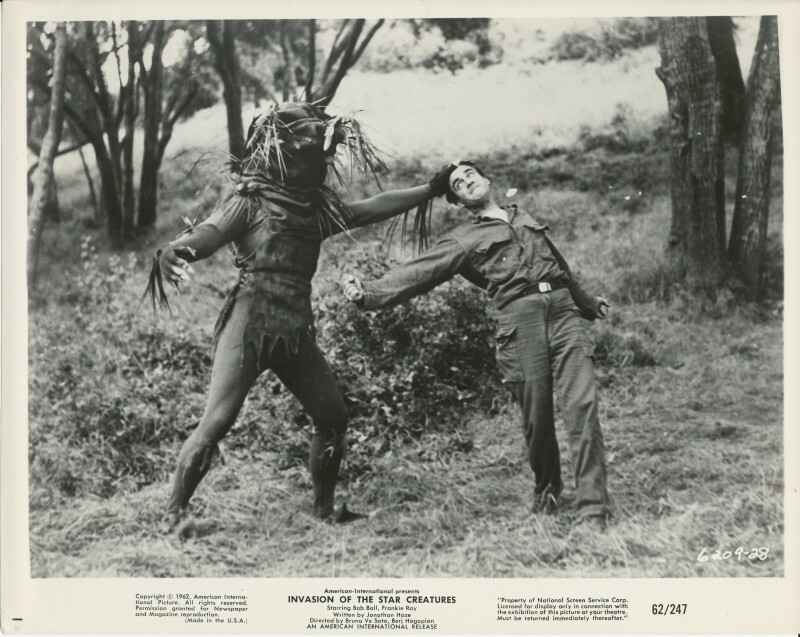 Anyway “Star Creatures” starred Bob Ball and Frankie Ray.It was distributed by, of course, American International. Surprisingly the reviews weren’t terribly good.The script , however, was by Johnathan Haze best known for his role in Roger Corman’s LITTLE SHOP OF HORRORS. Bob Ball went on to do a number of television guest shots including Perry Mason,The Andy Griffth Show, Kojak and Laverne & Shirley. I’m thinking … I’m thinking. There’s got to be a reason why this is wonderful. Why, if it’s really bad, in attempting to be good, do we find it so funny? Does it appeal to our arrogance? What was that film “MARS INVADES?” that was supposed to be a stupid sci-fi film — it was just boring. Is it our social arrogance like watching someone without manners fumble with silverware – like the clumsy kid in high school try to sit with the cool kids only to be made fun of? Wanna see the trailer? This entry was posted on Thursday, September 8th, 2011 at 7:31 am. It is filed under the BLOG. You can follow any responses to this entry through the RSS 2.0 feed.